I had no idea what to expect when I chose to attend a ten-day long Glass Heap Challenge in Eindhoven, the Netherlands, in October 2014. But I knew I had to make the time and money to go. It was the first time I had seen glass training advertised that specialised in recycled glass. It was Dutch Design Week - a feast of design events held every year in Eindhoven. It was a great thing being in a vibrant town after a summer on Tiree. Trains, planes and even a mini road trip back to Amsterdam via the Glass Museum in Leerdam was another treat. The Challenge itself was a huge surprise in lots of ways. 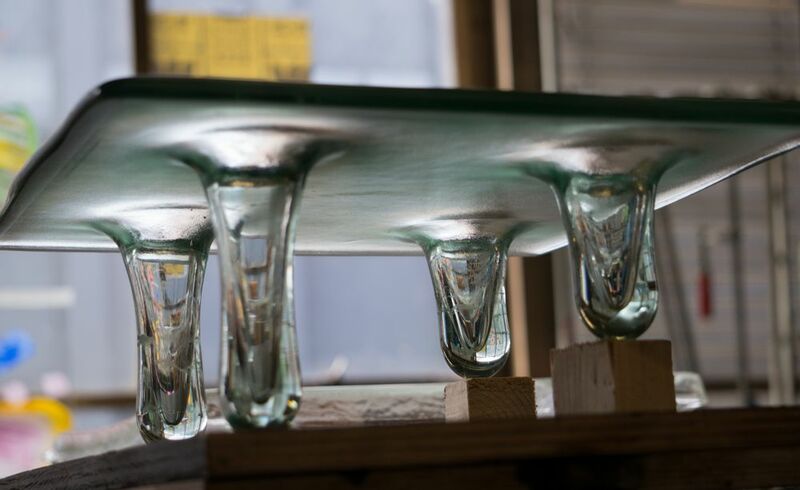 The event was advertised as a master class in recycled glass with emphasis on skill-sharing and finding new ways to work with the copious volumes of waste glass that exist, but there were differences in styles and approach of the 3 masters. There was a push for personal artistic development of participants and this felt a bit overwhelming at times. There were 10 participants, a great group of people with a fabulous range of skills. 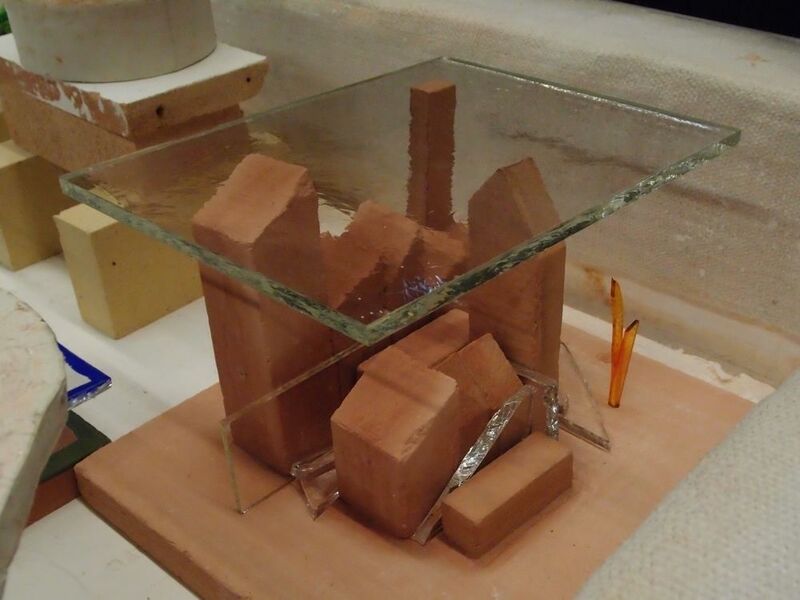 Product designers, architects, technicians and artists although only two of us had previous experience with glass, all were professional in their fields and wanting to explore working with waste glass. I was surprised that some of the masters were using non-recycled glass as a teaching resource. I wondered if this would limit our learning, or conflict with the aim of pushing boundaries, gathering waste material and learning from one another about the recycled resource. But everyone taking part had brought glass for recycling and was fully up for experimentation so there was plenty of recycling, idea generation and skill-sharing going on. 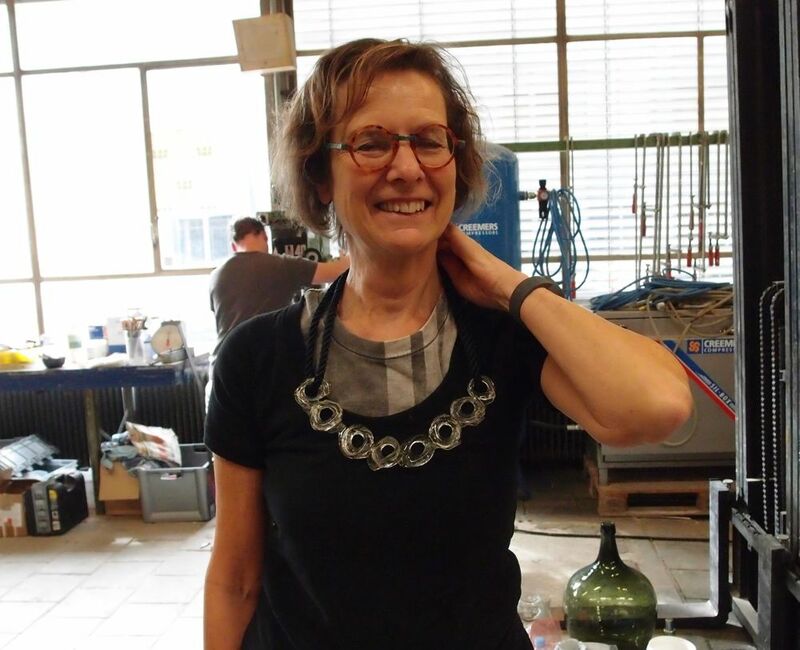 The event was held at Beeldenstorm, an open access aluminum and bronze casting studio. 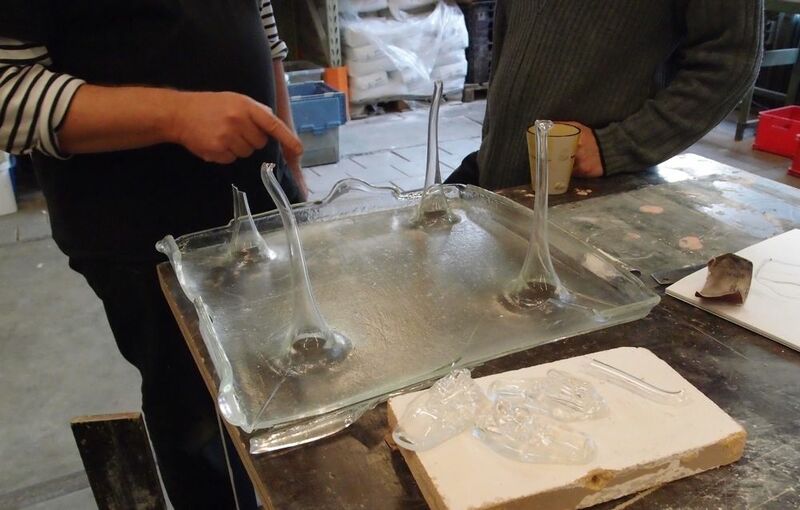 Glass making was new to Beeldenstorm and the Glass Heap Challenge was their showcase for Dutch Design Week. These circumstances added a layer of politics to the management of the event. I was very pleased to meet Matt Duran the founder of the Glass Heap Challenge who had a fantastic practical and inspiring approach helping us to realise what could be achieved working with recycled glass, and helping us to experiment and progress in a fun and gentle way. Glass making can be very technique based and working in recycled glass can bring another layer of complexity. A question was posed “why work with glass?” Along with the assertion that the answer to this question is imperative before art making can proceed. “You have to know why you are working with glass” But my answer is only because it is there, in abundance and I love it as a material. It was all a bit terrifying but ultimately I hope that the debate and tension will be helpful to me. I left inspired and have woken up in the mornings dreaming about form and flow in glass. I am going to make some new things……..and hope to build on the experience by being part of a community that shares information about glass upcycling.